This is an absolutely stunning trek through the Andes Mountains in Peru. The terrain in this area is greatly varied according to the elevation you are traveling at. At lower elevations there is rain forest and very warm temperatures and, as you ascend not only does the temperature drop but, the environment changes dramatically from rain to cloud forest, deciduous forest and alpine terrain (above tree line). We will experience all except the rain forest on this trek and, if you choose the amazon basin extension, that will take you deep into the rain forest as well! Many operators offer a 4 day trek on the Inca trail while, we do it in 5 days for a number of reasons. Probably the most important reason is this separates us from the majority of other trekkers on the trail. Other reasons include: later start on day 1, shorter hike on day 1 which really helps on day 2 and, who wouldn't want an extra day?! The dates listed are for fixed departures. This means even as 1 person you can join and you'll be with a group of people from all over the world. If you have a group of your own and would like to arrange a private trip, please send an inquiry and, we'll do our best to accommodate. Day 1- Arrive in Cuzco, Peru. You will be greeted at the airport by myself and a local guide. Transport to our hotel will be provided where there is a chance to unpack a bit, freshen up and have a coca tea. The rest of the day will be a city tour of Cuzco, showing the Plaza de Armes, Central Market and a few other key locations. After breakfast in the hotel, we will embark on our acclimatization hike of the Cuzco area ruins. 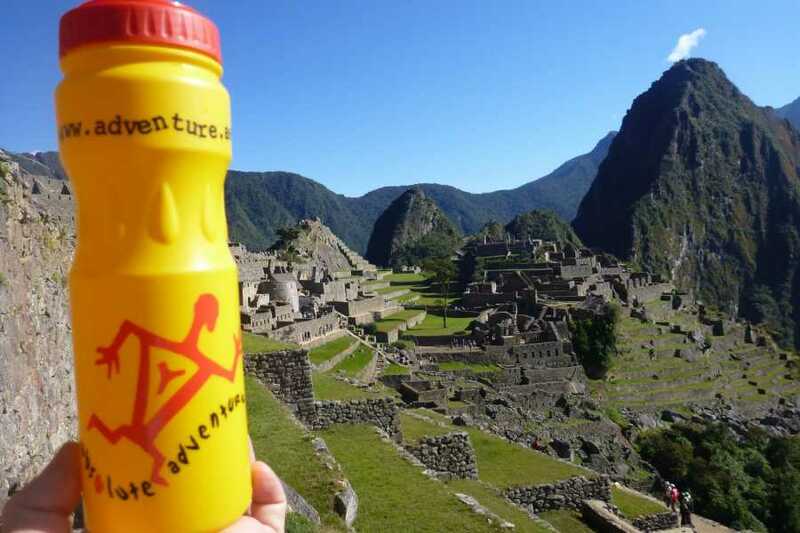 Not only is this a spectacular hike, visiting a number of key Inca sites in close proximity to the city but, it is also an important step to ensure that no one will get altitude sickness during the trail. Cuzco rests at over 3,000m above sea level and the hike at this elevation facilitates our bodies adjustment to the elevation. Today we start the Inca Trail! Our itinerary for the trail is unique in the time that we start hiking on the first day; starting a bit later than most groups puts us about half a day behind most people starting that day. This means that we have a more relaxed morning in the hotel and on the trail we have more peace and quiet. It also means that our first camp is completely to ourselves and, at the base of a stunning Inca site which, we will have time to explore after dinner. 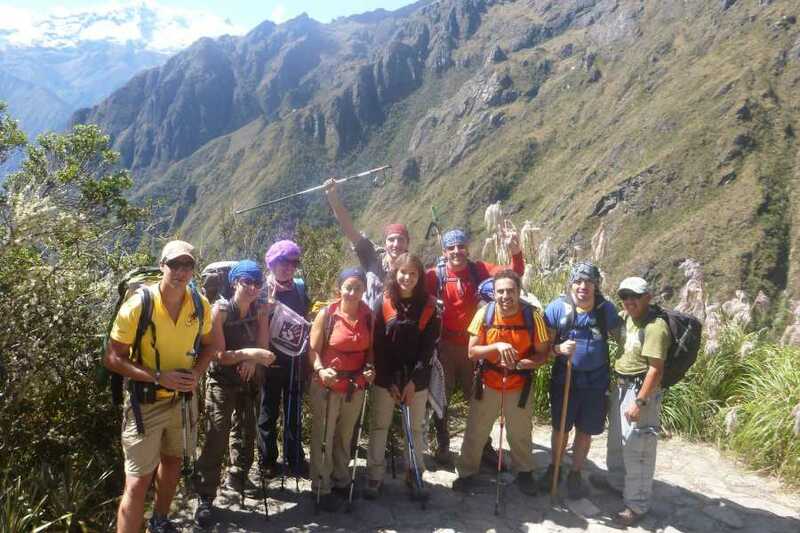 The second day on the Inca Trail is spent ascending to our second camp which rests at 3,700m above sea level. Starting from the first camp on the valley floor we spend the day gradually climbing the well built trail through cloud forest and along rivers and streams. Though a harder hike than day 1, this is a slow and steady climb throughout the day and it is made easier by the stunning environment and wildlife. 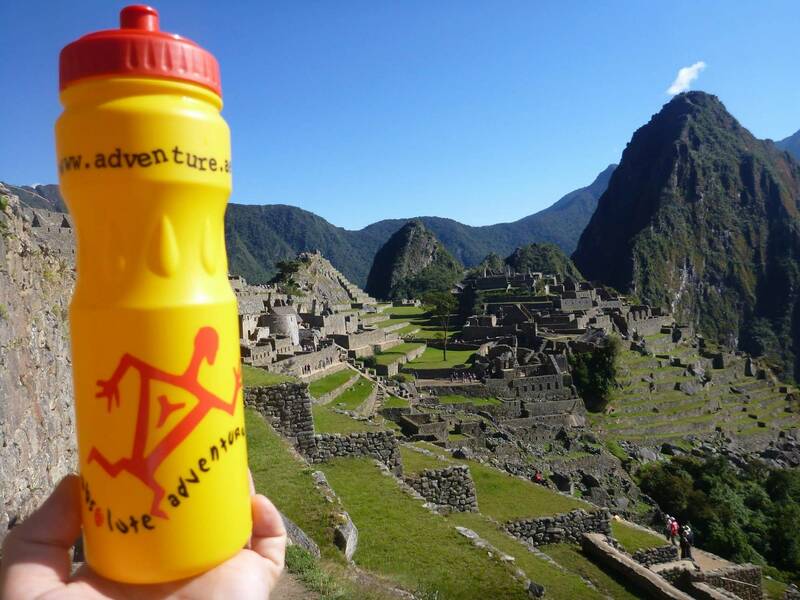 Day three of the Inca trail is, arguably, the most challenging day. Starting from our camp at 3,700m we climb to ‘Dead Woman’s pass’ at 4,200m, the highest point on the trail. From here we descend into the valley on the other side and have lunch before continuing to the top of the next pass. From here, looking back at ‘Dead Woman’s pass’, we can see how it gets the name with the silhouette of a woman laying on her back. The end of the day finds us at our final camp on the trail at approximately 3,600m. From here, we can see down to Aquas Calientes, where we will spend the following night in the comfort of a hotel! The final day of the trail and the culmination of our efforts! Hiking through the stunning cloud forest once again, you will notice that the trail has become more ‘paved’ with ancient stonework stairs and the ruins we pass are becoming more and more grand. Ultimately, we will reach the Sun Gate to Machu Picchu in the afternoon, finally viewing our goal as the sun falls to the horizon. After stopping for awhile to appreciate reaching our goal and enjoying the beautiful view, we will head into Machu Picchu, have a few opportunities for photos and then, catch a bus down to Aguas Calientes. Another advantage of our itinerary is the timing for arriving at Machu Picchu. Having arrived the previous day after most tourists have departed for town, we have a very unobstructed and natural view of the city. On this final day before heading back to Cuzco, we will head back to Machu Picchu early in the morning to have a full tour before most tour buses arrive and, again, having a unobstructed and peaceful tour and view of the city. Most trail participants have their tour immediately upon arrival and, as you can imagine, are exhausted! We will have had a hot shower, celebratory dinner and a night’s rest in the hotel before the tour, ensuring that we truly appreciate and have time to see the whole city. After the tour, we will have a few free hours to either continue exploring Machu Picchu or, head back to town and relax before catching the train back to Cuzco. I highly recommend spending this day and another night in Cuzco exploring. There are several museums (chocolate museum!!) and some amazing hand craft shops to check out, amazing food to sample and, a generally vibrant and energetic city to explore.